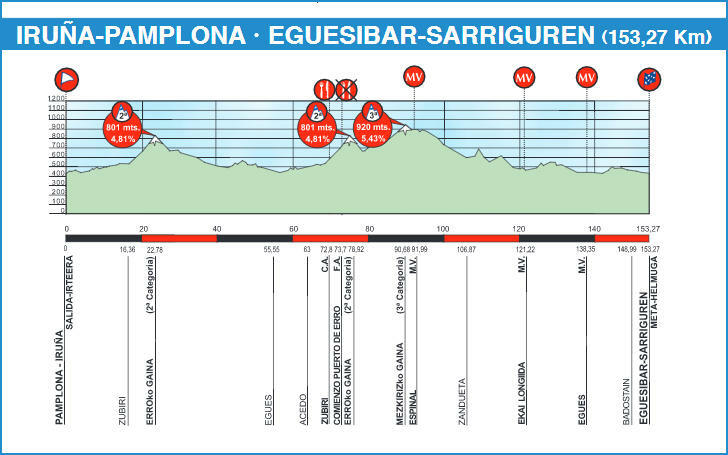 Today’s stage leaves from Pamplona, the capital of Navarra. As Basque Country stages go, it’s not too difficult, involving two climbs of the 2nd-category Erro, and once up the 3rd-category Mezkiriz at more than 60 km before the finish. A sprint finish is likely.